The multichannel synchronous recorder and analyzer of vibrosignals the Atlant-8 is the modern device intended for solution most complex problems in vibration diagnostics of equipment. 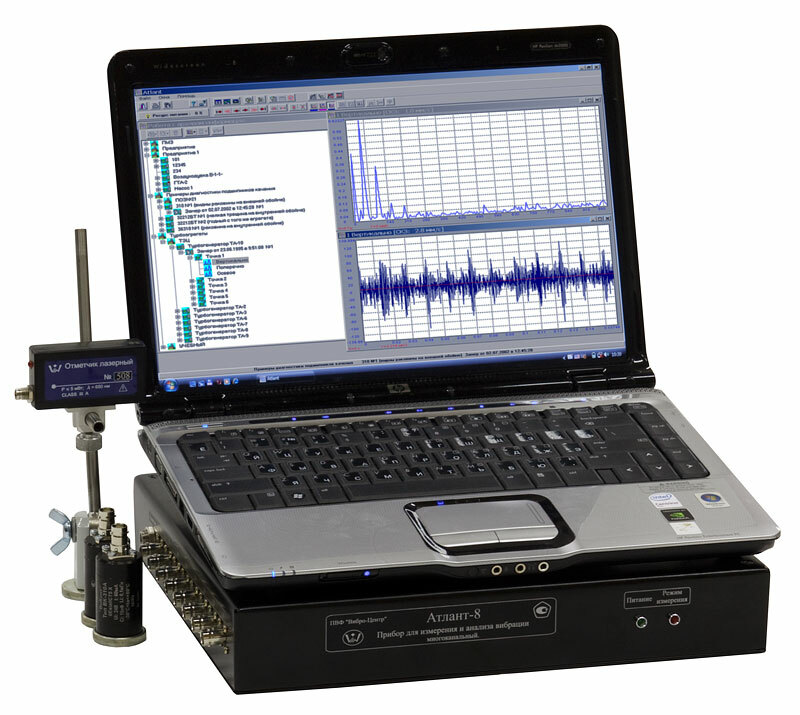 A basis of the vibration analyzer the Atlant is a transportable computer such as laptop combines functions of registration signals, data handling and storage. Functions of initial processing of vibrosignals, filtering and the synchronous digital conversion are realized in the external block. Vibration sensors and the phase marker used at balancing are connected to this block. Using of a computer for signal processing removes practically all limitations of usual portable instruments of a vibrocontrol. It is small quantity of input channels, the low speed performance, the limited memory data. Possibility of carrying out of continuous signals registration during tens seconds or minutes allows to use such instruments for registration of transients in equipment, for control of vibrating processes in low speed gears, etc. 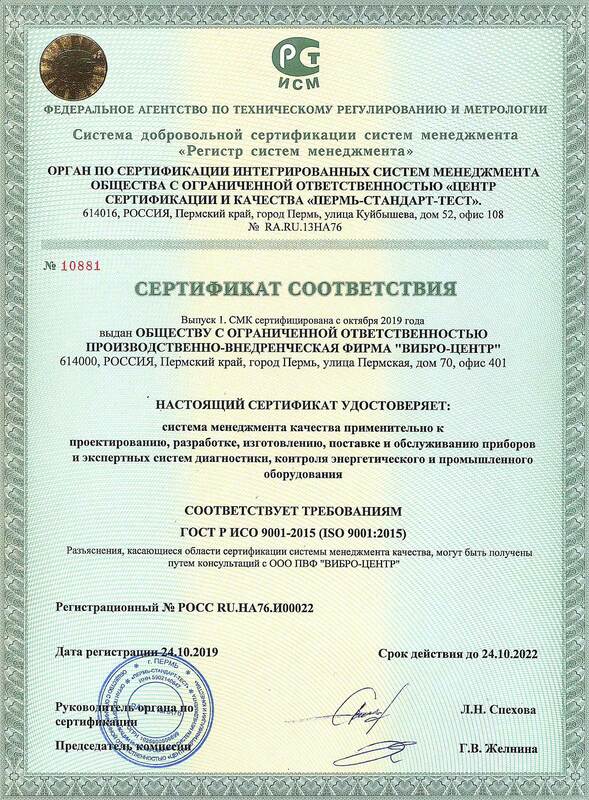 Device Atlant-8 is issued only in common industrial version. Usage of the device in explosion-hazard rooms is prohibited. The Atlant includes software set of vibrating diagnostics in equipment. By means of the software the Atlant it is one can analyze waveforms and spectrum of vibrosignals, a wavelet - conversions of signals. Available software of space visualization of multivariate oscillations can bring the big advantage at diagnostics. system for balancing and damping of rotors in internal bearings - up to 14 planes of correction and 42 points of a control. Upgrade of the software is made by us during all time of life of the device by e-mail or on a CD-ROM.